The battle against cart abandonment rages on; retailers are getting savvier however about the strategies they can use to reduce the impact of the behavior. 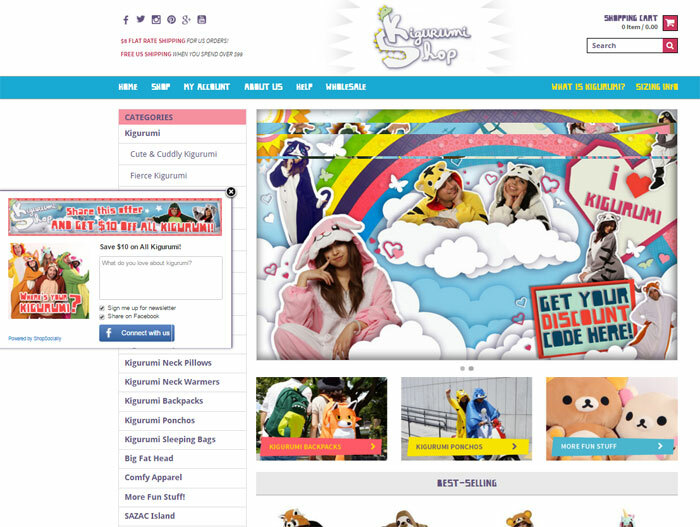 California-based Kigurumi Shop, a California-based online retailer, for example, recently implemented an incentive plan to counter cart abandonment during the most recent holiday season and the results are noteworthy by any measure. Kigurumi Shop embedded ShopSocially’s Get-a-Fan app (which uses a personalization engine to detect abandonment and deliver incentives for completing a purchase - see image below) and offered visitors a $10 off incentive when they tried to exit the cart page. The result? A dramatic improve in conversion rate.